Uulala Ltd. Legitimate Fintech or Just More “La La Land” Hype? The first company authorized to launch an initial coin offering (“ICO”) in Bermuda is Uulala, Ltd. The Royal Gazette says a lead figure in the company has a history of lawsuits, judgments and tax liens in the United States. They say Oscar Garcia, founder and CEO of Uulala, Ltd has several U.S. court judgments and tax liens in recent history in the United States. Tax liens and judgments can also be found against an e-commerce business, Lucrazon Global. Although those judgments aren’t against Garcia personally, the Royal Gazette says Garcia claimed in a promotional video to be Executive Vice President of Lucrazon. There is also litigation against Garcia brought by a former business partner over a U.S. company with a very similar name, Uulala, Inc.
A photo taken in October shows Oscar Garcia posing with Bermuda’s National Security Minister Wayne Caines. Minister Caines said, “For Bermuda to go from just the legislative concept nine months ago to our first ICO now with Uulala is magnificent. Knowing what we know about Caribbean tax havens and cryptocurrency fraud, we don’t share the security minister’s enthusiasm. A video on the company’s website features none other than Bermuda’s premiere, E. David Burt. He claims that Bermuda is the first country in the world to have a comprehensive suite of legislation for companies in the digital asset space and that Uulala was the first company to meet its stringent requirements. Hacked.com reports the company is raising $50 million through its ICO. There are reportedly no restrictions on those who can participate. We aren’t sure what to make of Uulala but it certainly has a business plan and employees and contacts. The case for Arbitrade Ltd is an entirely different story. According to an article in the Royal Gazette, Arbitrade Ltd announced in late October that it acquired title to 395,000 kilograms of gold worth billions of dollars. Unfortunately, the company didn’t say how it acquired the gold or where the gold is. The company says an accounting firm has “verified” the gold but the company doesn’t name the accounting firm. The gold claim sets Arbitrade apart from other cryptocurrency firms. The company claims it currency is backed by gold. The claims of gold backing caused the price of Arbitrade’s “dignity” cryptocurrency to jump in value overnight by 40%. Our fear is that innocent investors are being duped by these extravagant claims. Another reason we are concerned is the involvement of Troy Hogg (or one of several other names he uses). Just Google Troy Hogg and the word “fraud” and examie the responses. People love him or hate him. Watch his videos, however, and you see he is a pyramid marketer and that has landed him in trouble previously. Bermuda wants to be first in the world with licensing crypto and blockchain fintech businesses. We worry that the early players are taking advantage of the island nation. We further worry that the public statements from the country’s premier and security minister will give legitimacy to businesses that have been questioned by several in the media. Businesses that may soon turn out to be scams. Given what we have seen so far, we don’t believe Bermuda is ready to regulate cryptos, ICO’s, blockchain businesses or fintech. That said, their imprimatur on businesses like Arbitrade and Uulala will cause many people to invest. In stark contrast to Bermuda, the United States Securities and Exchange Commission has a radically different approach to ICO’s. U.S. regulators worry that many of the new ICO’s may be subject to fraud. They say that these offerings are subject to federal securities laws. It is almost impossible to regulate these offerings. Sometimes it is even impossible to find where they are located. (The Royal Gazette said that emails to Arbitrade bounced back and phones were unanswered.) We are aware of a US based ICO, when we attempted to track down the address from the website it came back to a vacant lot. Another reason the U.S takes a stringent view on cryptos is that often the sales staff promoting these coin offerings can’t even explain how they work! In the typical ICO, virtual tokens (or “coins”) are sold by the offeror to the public. Often the promoters of these ICOs seek to get paid by Bitcoin or other cryptocurrency. (Uulala accepts U.S. dollars as well.) The buyer gets tokens in return. The tokens allow the purchaser to obtain a fixed number of units of digital currency or share in the profits of the issuer. 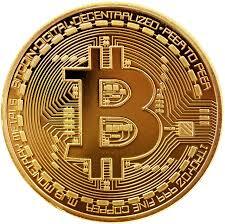 Whether digital currency is here to stay is still undecided. We know, unfortunately, that the industry has brought with it many fraudulent promoters hoping to profit on the craze. A few experts claim that most ICO’s today are scams. The SEC and its sister agency the CFTC have announced that they will take an expansive view of their jurisdiction when new currency offerings are involved. The Commission has issued written guidance that says any coin or token that can be exchanged for another cryptocurrency or fiat currency with the expectation of profit is subject to regulation. Regulation doesn’t mean safety, however. This is still very much a buyer beware industry. The fraud recovery lawyers at MahanyLaw limit their cryptocurrency cases to investors who purchased from legitimate stockbrokers or financial advisors. If you purchased through an ICO, we can’t help you. Ditto if you invested directly with the company. Each week we got calls and emails from investors who lost significant sums of money in crypto and fintech scams. (One person lost over $1 million through someone he met through Facebook!) Unless you invested through a legitimate third party we can’t help. On occasion we consider class action claims against banks and other businesses who may have facilitated the scheme. These posts are published a public service. We hate hearing stories of people who lost money in fintech frauds. While we are happy that Bermuda is trying to step into the regulatory space and develop standards, we are a long way from saying something approved by a Bermudan politician is a safe investment. We also invite you to visit our cornerstone page on ICO and Cryptocurrency Fraud. *We have made no independent investigation of either Uulala or Arbitrade. While we wouldn’t invest in either, that is our opinion and not based on anything more than what we read through Offshore Alert, a publication that is always accurate in its reporting, and our own knowledge of the lax regulatory environment in many Caribbean nations. Whenever you are investing in an ICO, make sure you get answers to your questions. Simply because a company makes claims in a white paper doesn’t mean those claims are true. We understand the temptation to get in on the ground floor of the next big thing. Get answers to your questions before you invest!